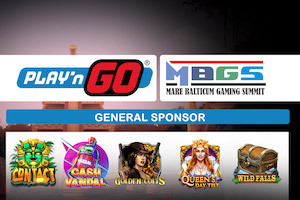 Play’n Go is the latest sponsor of the Mare Balticum Gaming Summit, which takes place on May 9 at the Radisson Blu Royal Astorija Hotel in Vilnius, Lithuania. A gathering of the gambling industry from the Baltic and Scandinavian regions, organisers are anticipating a doubling in attendance compared to the inaugural event held last year in Riga. Zoltán Tűndik, co-founder, head of business at European Gaming Media and Events, said: “We are happy to see that we have already passed the number of registrations that was recorded in 2018 and we are also thrilled by the support which the sponsors have shown us this year. “The sponsors’ list has already doubled and we are anticipating another sold out event and this time in Vilnius, Lithuania. In 2019 we are once again bringing together leaders of the gambling industry from the Baltics and Nordics for a much-awaited gathering in the region while also helping companies from across Europe to learn more and engage their clients from the demographic.